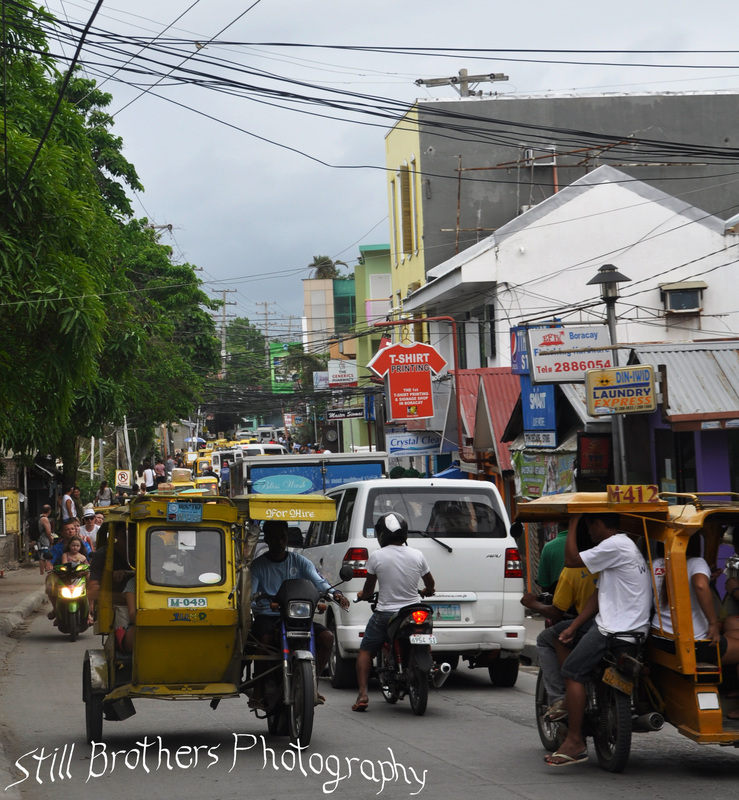 Zipping down the road in a flimsy yellow tricycle was just one of many great adventures in Boracay, the party island of the Philippines. After a red-eye flight, a holiday family Skype session and a few measly hours of sleep I found myself on the island of Caticlan Sunday morning. 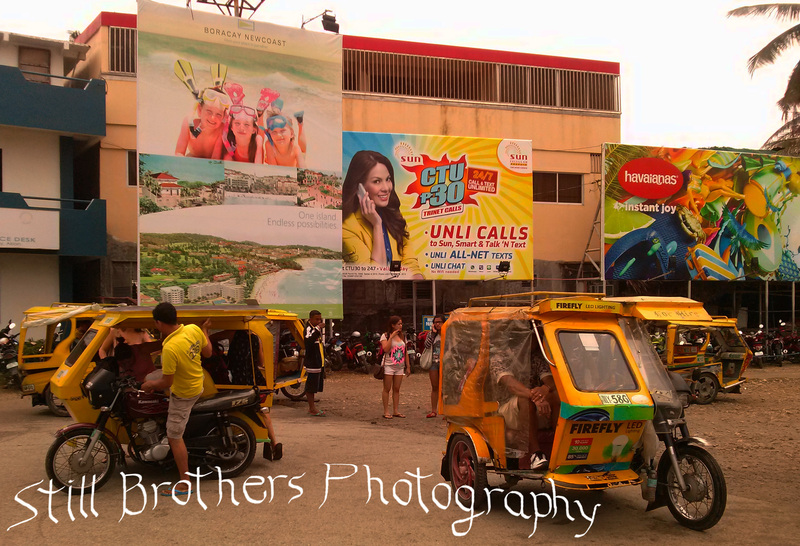 It was a short taxi (all the taxis here are tricycles aka trikes) to the port where I waited for a boat to take me to Boracay. The ferry across only was in the open water for about 10 minutes but takes nearly an hour with all the congestion at either port. The wooden ferries look like converted fishing boats with bamboo outriggers lashed on either side. These overcrowded vessels have local sailors on bow and stern toting what 30 foot bamboo poles. There adept punting skills with those push poles successfully maneuvered us at both harbors before I disembarked and jumped into anther trike. The 2-way road was full of sidecar motorcycles converted into taxi-trikes. After combing through a residential neighborhood my driver finally located MNL Boracay Beach Hostel; my home for the next 2 days. I checked in, was excited to find a great view from our roof and went off to explore the beach. 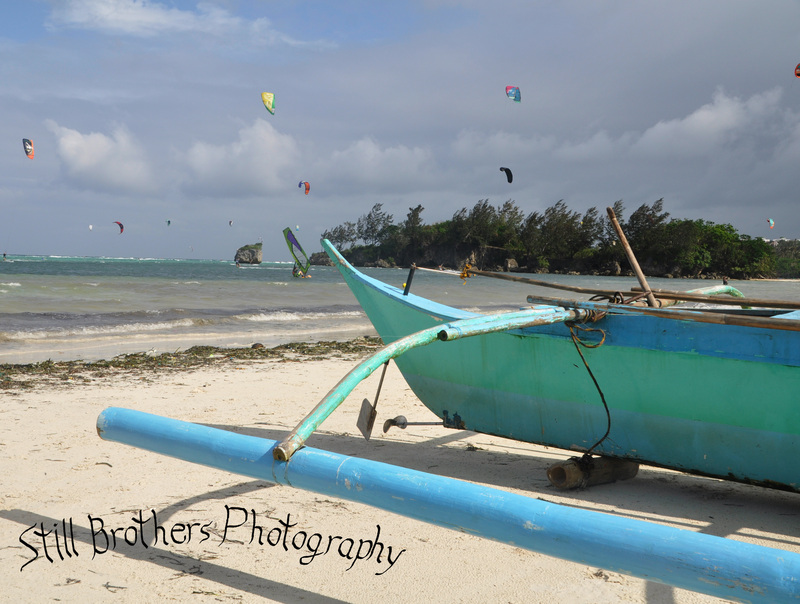 Bulabog Beach was littered with a rainbow of massive kites. They were on the ground, in the sea and the air. 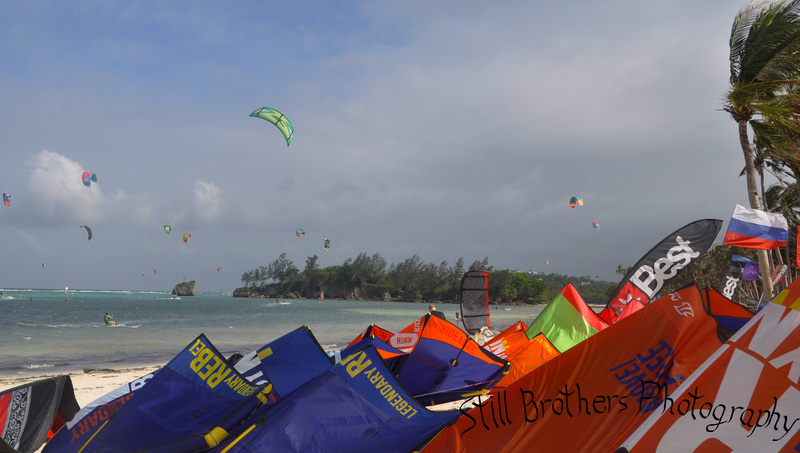 The beach is known as one of the best kite surfing places on Earth and everyone was taking advantage of the windy conditions. Some were expertly surfing, flying and flipping among the waves while others took beginner lessons on the beach. I inquired about lessons and found out the first of 3-3 hour sessions is mostly on land and learning how to control a kite. I opted to pass on this opportunity at 1900 PHP(~$50) an hour since I had my sites set on SCUBA later in the week. As I continued down the beach I was greeted by locals selling hats, sunglasses and just about anything you could think if. I brokered a deal for a pair of “fOakleys” for 300 PHP (~$7.50) and kept strolling. Halfway down the beach I found an alcove with some beached fishing boats; they looked like a smaller cousin to the ferry that brought me to the island. The sun was still up; what else to do on my first vacation? It felt great to just be able to relax but I wanted to keep exploring! I asked around my hostel for any hikes some suggestions that didn’t involve partying; the receptionist recommended “Mt. 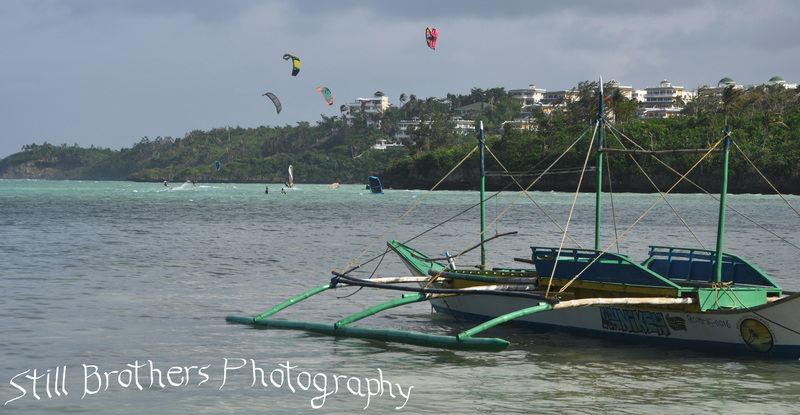 Luho.” It was a short 150 PHP ($4) taxi ride and sported a view of the entire island. I walked to the main road and jumped on a motorcycle for another thrill ride. We zipped around the island, weaving in and out of traffic; I held on tight as the tropical trees whipped past. Kokoy, my driver was ecstatic to have an American to show around and offered to be my private tourguide. What else could I do but oblige him. He showed me around Mt. Luho after I paid the 120 PHP ($3) entrance fee. We found a small zoo, some petrified wood and a bamboo lashed structure rising above the treetops. As it swayed in the wind I was reassured by the handful of tourists already at the top. The steep steps creaked as I climbed, passing a zip line which I declined (1600 PHP/$40) in lieu of the view. At the top I realized just how tiny this island was. Shaped like a dog-bone it is roughly 7 km long and barely 1 km wide at boat station 2, the middle where I was staying. Disappointed that I still had an hour or more before sunset I snapped a few more photos and Kokoy took me back to my hostel where I found out I paid him roughly 6 times the going rate at 250 PHP ($6.25)for the trip up and down! The rest of the evening was spent recuperating from my travel and making plans for the next day. I met 3 Swedes; Daniel, Moa & Jonas who invited me to join them at Ariel’s point the next day. They had a handful of European friends joining them for this all-you-can-drink cliff diving extravaganza. At 1600 PHP ($40) and including dinner how could I resist!